I would like to update my skates. For the last 5 years I've been on DA45 plate, (aluminum for the last 2 years). I'd really like to get something lighter if possible. I understand the Mag is about 15% lighter. Can someone please tell me if they have used both the Arius platinum and the Roll-line killer and if they preferred one over the other? 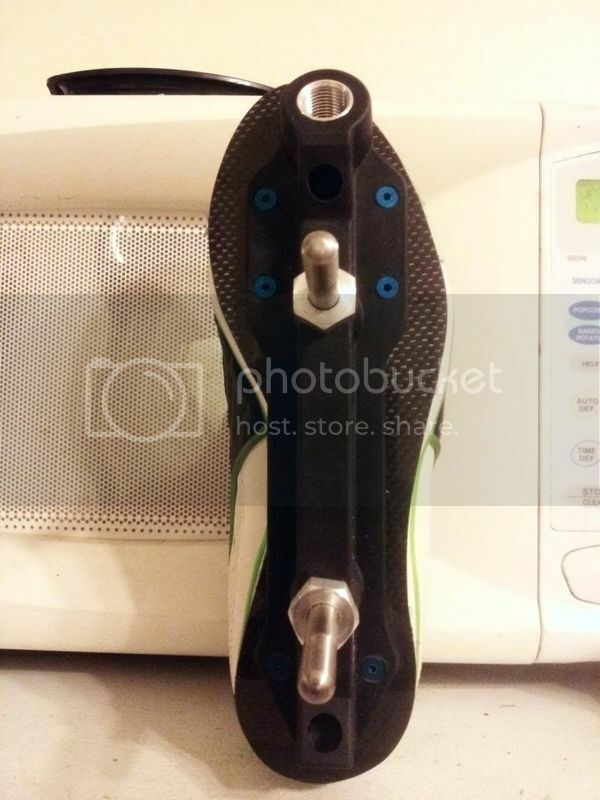 For reference, I am 120lbs 5'6'', like to pick my feet up a lot, run on my skates, I do use toe stops to move around- I have them flush and still trip up on them sometimes until they are worn down when skating. also, I will most likely upgrade my boot-I've had the vanilla brass knuckle for 5 years as well. still very comfy, but not sure how much longer it will last. My guess is I will go with a bont. Looking for light and super comfy. I see that they have a plate as well. If anyone has an opinion they would like to share on the Infinity plate and the bont bearings, I would love to hear that too. Never used a roll line killer, but I have been skating an Arius for about 3 years. Crazy light plate. 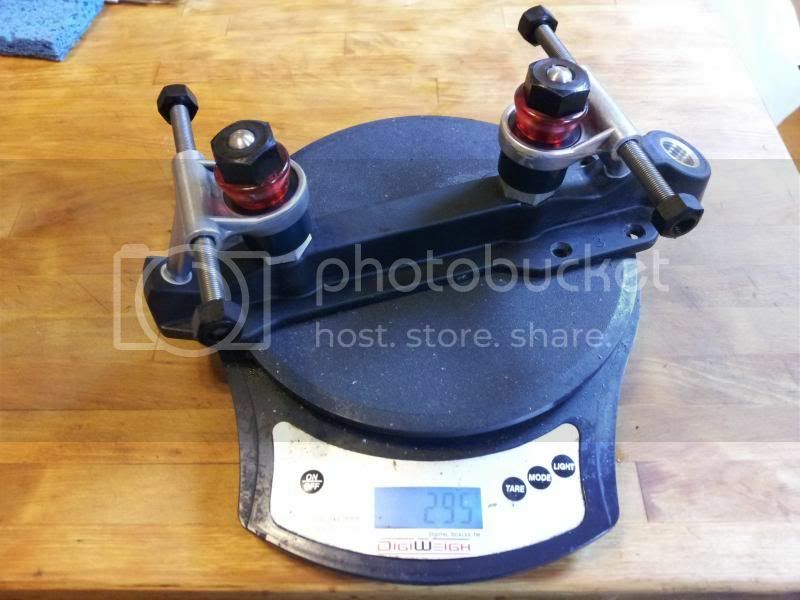 359 grams for a size 12 193mm wheelbase(red) the Platinum weighs slightly more. However, before I recommend the Arius, what wheels are you going to use? The arius is not friendly with bont hubbed wheels that use micro bearings. I routinely destroy them when using my royal assassins. What exactly does the Arius do to those bearings? Does this apply to the platinum version as well? That is really good to know, I haven't settled on a new wheel yet and I was excited about the thought of those micro bearings. I'm on heartless now. By doing a reversed kingpin upgrade with Titanium studs and replacing the 7mm steel axles with titanium ones, a Nova plate becomes a SuperNova. Adding 100% nylon axle nuts and action nuts gives a sub 300 gram [without toestops] plate for your ~size. 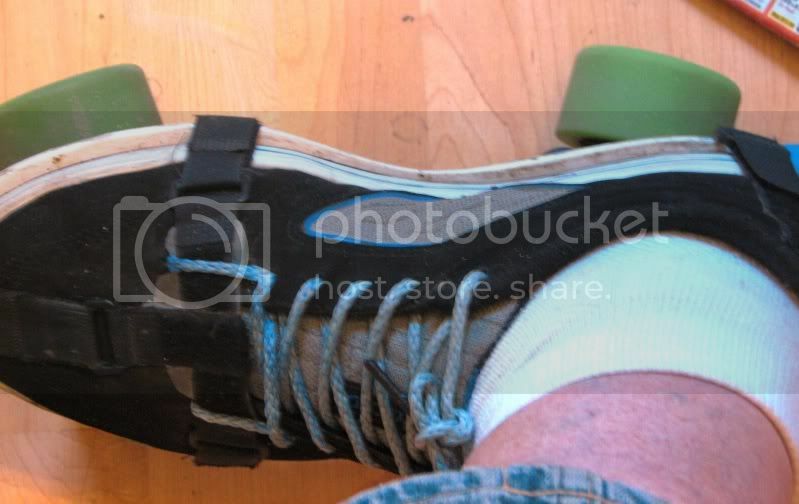 With a light boot and Bont, microbearing wheels, and a not too heavy toestop, a sub-1000 gram build is doable. With Panther nylon trucks replacing the already sharp turns capable SG factory original aluminum ones, even sharper turns become easy, and stability exceeds DA45 level. Last edited by Armadillo; September 22nd, 2016 at 05:48 PM. If you were so concerned about weight .Why mount a skateboard with a stopper. 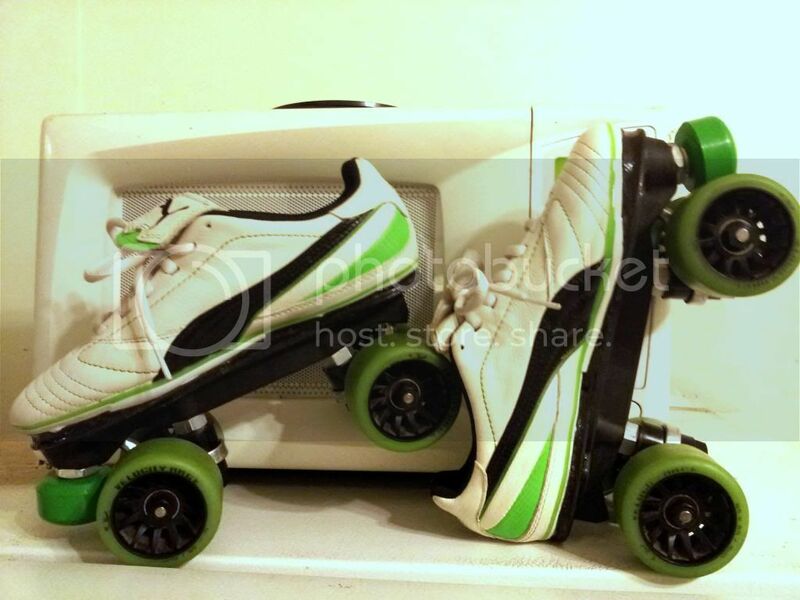 Skates were build for a derby skater with specific needs, and toestops were part of the build spec. Not too many 1000 gram derby skate builds with toestops INCLUDED out there in the world. This issue applys to all Arius trucks. The problem lies in the axle itself. You see, theres a dip in the axles thickness where the threads start. On a bont hub the outer bearing sits in this recess, which ocks the inside bearing slightly. BUT, this is a micro bearing which is about 1/3rd the strength of a 608 bearing. It also has a lot less room for radial and axial clearances, so the small offset of the outside bearing really increases the load on the inside bearing , and pretty much forces the bearing to roll on th3 edge of its raceways. All the platinum really accomplished was the toestop boss was changed and the plate was reinforced behind the boss. sorry for being the dummy in a sea of super smart people, but where do I find things like titanium studs and axels and the like? Is there a online store you can recommend? Or is there a person that does skate builds? Geno built my first pair, but I guess he is not doing that anymore. Every custom skate builder (like Geno) has their hard searched sources for many suitable off-the-shelf items, and by combining those items with their own unique skill sets, needed to make & assemble the more non-standard & custom sizes of special H/W pieces it takes to pull together these kinds of builds, they can push the envelope of lightweight possibilities for you. Many members here at SLF do this and working with one near you is a good option. However, there is no free lunch ride that gets you into this territory. You either hire someone who has already paid their dues for how to make this stuff show up in the world, or you start to work your way up the ladder of learning & doing. It mostly depends on what king of budgets are available to pump into these kinds of projects. Supply your own labor (and LEARNING) time, and the costs drop considerably, but the required time investment can become rather large too. Working with a veteran skate builder can become costly, especially when back and forth shipping adds up. Then there are all the special tools and miscellaneous H/W items needed to do a job right. A builder has already accumulated these items, but a DIY'er, just getting started, will have to cover many up front costs to accumulate a wide enough range of the needed stuff it will take to do their single project. You have to decide what path to take based on your own situation. I actually skate on one of the plates you asked about. I've skated on Dynapros, Avengers, and now the Killers. I haven't skated the Arius but I can give you feedback on the Killers. I love the fit and finish of them. There's something indescribable about how well built they feel. They're very much a set it and forget it kind of plate. Once I got the trucks adjusted they've just stayed rock solid the whole time. I know we're now on the second generation of Arius but with a history of broken plates from Riedell I get nervous with their products. Roll-lines on the other hand are generally considered to be the gold standard of dependability and toughness. I switched to them from the Avengers because I wanted to remove some of the natural turn from the plate. I'd already put the red barrels on my avengers but still felt like they wanted to turn too much when I was in a wall and trying to slow a jammer down. With the Killers I have all of the agility I need but with a lot more stability. Also at higher speeds when I'm OPRing or in a fast pack I have a lot more stability and less strain on my ankles. Only downfalls are that they come from the factory with Metric toe stops and 7mm axles which can make spares for bearings and toe stops hard to find. I think you may be able to order them with standard threads and 8mm axles now but I'm not 100% on that. They are available with 8MM axles now. The toe stop is easily tapped to SAE threads. I have skated Arius and Roll line. The Arius is lighter and worked well for me. They felt similar to a DA45 plate in many ways. The toe stop breakage issues and ont being able to better adjust the trucks were my only concerns, not for me, but Arius is a legit option for many. Roll line plates are really excellent. It is hard to describe why I like them so much. The only words that come to mind are quality and precision. They just "feel" well made.